OneDrive, Google Drive, Dropbox, and the list goes on; cloud services are ever-abundant and ever-popular. WP Media Folder amalgamates files from all of these different services, and it is now bringing another cloud host to WordPress - Amazon S3. WP Media Folder wears many hats. The newest one permits it to become a WordPress plugin for Amazon S3. WP Media Folder’s integration brings all the benefits of Amazon S3 to your WordPress media library. The functionality includes managing your Amazon S3 files from WordPress, and even moving your data onto Amazon’s servers. 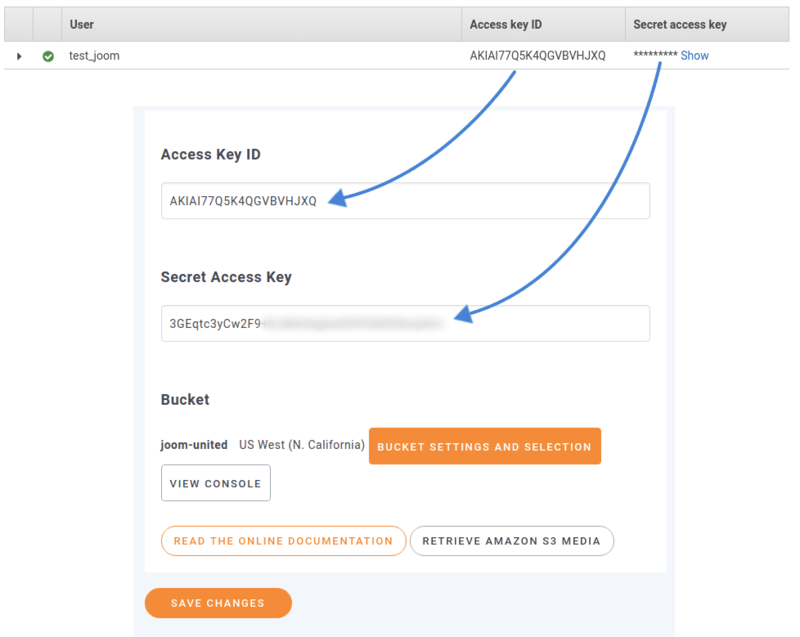 Connecting Amazon S3 with your WordPress blog is as simple as getting access keys from the AWS Management Console. Look up IAM Management and create a new user with programmatic access. Then, give them a permission policy to allow them to manage file buckets. Head to attach existing policies directly and filter for S3 policies, choosing the AmazonS3FullAccess policy. Finish the rest of the process, optionally adding tags, to get the access ID and secret access key from Amazon S3. The two go into the Amazon S3 tab in WP Media Folder’s settings page, right under the cloud menu. Copy the Amazon access ID and secret access key into your WordPress settings page to complete the integration. Save changes to integrate Amazon S3 with WordPress and start enjoying all the advantages that the new connection brings with it. The same page where you set up the integration of Amazon S3 with WordPress lets you control the functionality of the new cloud connection. The most intuitive option is to use Amazon S3 as a backup for your WordPress media library. WP Media Folder comes with the core functionality of automatically mirroring your media files on Amazon S3 whenever you upload them to your media library. To enable the option, toggle the copy to Amazon S3 switch. Alternatively if you are running low on server space, you can choose to use Amazon S3 as an extension to your WordPress blog. The remove after Amazon S3 upload switch instructs the WordPress plugin to remove local files after they are uploaded to Amazon’s cloud servers. With these configurations, any pictures or videos that you upload to your WordPress media library are stored in Amazon S3 buckets. These buckets can be created in one of two ways. You can create buckets from Amazon S3’s console, or use the bucket settings and selection button in the settings page. If you choose the former, make sure that you make access to the bucket public. Regardless of how you create the bucket, the bucket settings and selection button lets you choose the destination of all your uploaded media. If this is your first time setting up Amazon S3 to work with your WordPress media library, you can use the synchronize with Amazon S3 button to use the above configurations to export your current library to Amazon S3. Having your files on Amazon’s servers provides a significant performance boost, especially since Amazon S3 can scale according to your WordPress blog’s growing demands. The question that arises naturally is what happens to your pictures and videos when you want to move away from Amazon S3. The very last option in this screen is the retrieve Amazon S3 media button, which imports all the files in your Amazon S3 account into your WordPress media library. 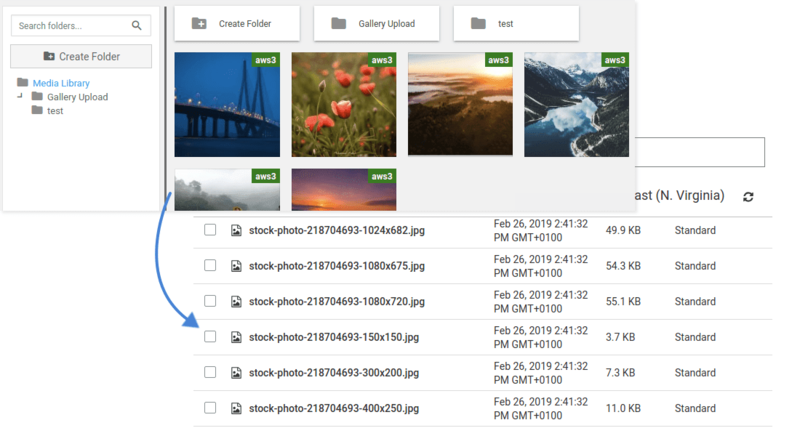 Whether you see Amazon S3 as an extension of WordPress’ media library or a shared backup site, WP Media Folder has you covered. The WordPress plugin puts on the Amazon S3 hat to let you fine-tune the integration to your blog’s needs.